You're missing my point. I could have picked any comet - the point being that if we suddenly were able to increase our average by 3 points then we are being incentivised to break up a team instead of improving the riders. Problem with that to me is it ends up with ever inflated team averages and no incentive to bring in lower scoring riders and build them up. E.g. for comets there would be no reason to keep Kyle Bickley (apart from we love him) if we suddenly could bring in someone with a 5 point average. Maybe I'm wrong though, maybe it would plateau out in the mid-40s. OK I dunno if this is a dumb idea or been considered before (I'm newly back into speedway after living abroad) I'll take the championship as an example. Currently the team limit is 42.5 I would suggest that any team from 2018 is allowed to keep their same team regardless of how their riders averages have improved. If they replace a rider: if the current team average is above 42.5, then the new rider must be lower than the leaving rider. (so team average could possibly still be above 42.5) if the current teams average is below 42.5 then they can replace however they like, as long as the new average is at/below 42.5 The idea behind this is that it would be better if we don't have to break up successful teams and should be able to get some consistency in teams instead of the merry-go-round of riderrs to teams and teams have motivation to improve and keep riders without having to then ditch a rider if they improve too much due to team average. Ahh I didn't see the finger. But yeah the stick Richard was getting was right after Stefan laid down - fair enough Richard deserved it then. Is there some controversial history with Richard? i heard him getting quite a bit of stick from a couple of Comets fans. If Lakeside lose tonight I wonder if those two same riders will have to "go to the toilet" again and miss the whole ceremony. Well curfew is 10pm, so there shouldn't be any fudging of the actual time. I thought it was going to be difficult even to get to 10 heats by 10pm with a 7:30pm start. Now it's a 7pm I think they should, but still don't think they'll manage to get to 15. I agree. I'm worried that coming back from so many big deficits will lead to some complacency and this Lakeside team will be up for it and they have a strong top end. We need a 4-2 five times just to draw level and I'm sure they will get some heat advantages. A bad night for a rider (we've had some of them), a tape break, a bike failure, a bad ref decision and things can change quickly. Far far from over in my opinion. Biggest danger to the Comets tonight was when Klindt accidentally tipped Bewley out of his wheelchair at the presentation. Fantastic performance from the comets, they fought damn hard for a lot of those early points. And I didn't feel comfortable at all until you sadly lost one of your best riders in Garrity. We've had Race #10 - we will get a result! As a new member I see all my posts are hidden until a moderator reviews them sometimes over 12 hours later. How long does this go on? I can understand spam accounts are a problem, but not being able to join in fast moving conversations means I'm not bothering to post so will just move back to lurking. 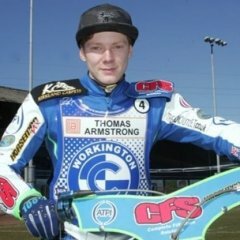 A post in the thread for tomorrow night says a suspected broken collarbone for Ty and Tero Aarnio will guest tomorrow. Oh no poor Ty, is this going to screw up his chance of visa for next year? He can't make 7 average and now can't compete in his state championships right? 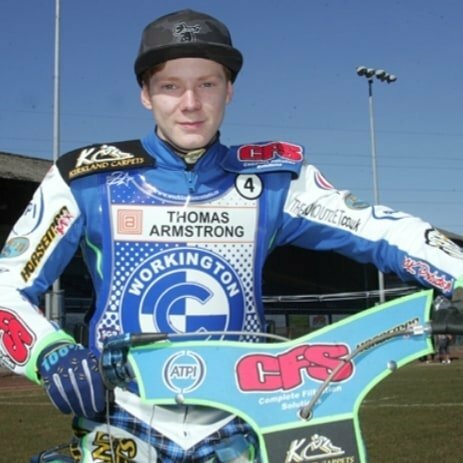 Tero rode well against us last time he was at Derwent Park so should be a good guest.